Rowman & Littlefield Education, 9781607092575, 277pp. Witnessing Whiteness invites readers to consider what it means to be white, describes and critiques strategies used to avoid race issues, and identifies the detrimental effect of avoiding race on cross-race collaborations. The author illustrates how racial discomfort leads white people toward poor relationships with people of color. Questioning the implications our history has for personal lives and social institutions, the book considers political, economic, socio-cultural, and legal histories that shaped the meanings associated with whiteness. Drawing on dialogue with well-known figures within education, race, and multicultural work, the book offers intimate, personal stories of cross-race friendships that address both how a deep understanding of whiteness supports cross-race collaboration and the long-term nature of the work of excising racism from the deep psyche. Concluding chapters offer practical information on building knowledge, skills, capacities, and communities that support anti-racism practices, a hopeful look at our collective future, and a discussion of how to create a culture of witnesses who support allies for social and racial justice. 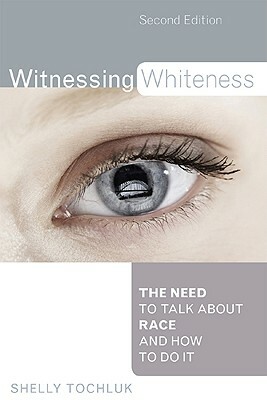 For book discussion groups and workshop plans, please visit www.witnessingwhiteness.com. An educator, with a background in psychology, Shelly Tochluk spent ten years as a researcher, counselor, and teacher in California's public schools. Tochluk now trains educators to work with the diverse Los Angeles school population as an Associate Professor of Education at Mount St. Mary's College.